Levante will be looking to make amends for a heavy 5-0 defeat to Sevilla when they host Getafe at their Estadio Ciudad de Valencia on Matchday 22. Los Levantinos remained in the middle of the La Liga table, but they are only six points clear of the relegation zone ahead of Saturday’s football match. Anyhow, the club from Valencia are tough to beat at home, which is the main reason why we are positive they are going to grab something from the Getafe clash. 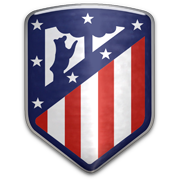 As expected, los Azulones were beaten by Atletico Madrid in the local derby at the weekend. The capital club, though, are enjoying a season to remember and seeing that they are eyeing a place in European competitions, we predict that the visitors are going to hold Levante to a draw at Estadio Ciudad de Valencia this weekend. Coke began his professional career at Rayo Vallecano, playing 180 games for the capital club between 2005 and 2011. The pacey full back joined Sevilla in June, 2011 and he made a right decision when he moved to the fellow La Liga side. The Spanish footballer, who is capable of playing as both full back and a winger, won three UEFA Europa League trophies with los Sevillanos (2014, 2015, 2016) and he made it to the Spanish Cup final in the 2015/2016 season with the Estadio Ramon Sanchez Pizjuan outfit. Sevilla, though, failed to make life difficult for Barcelona in the title game. After spending five years in Andalusia, Coke signed a three-year contract with Schalke on 31 July, 2016 for a fee of €5 million. However, before the start of the 2016/2017 Bundesliga campaign he suffered a serious injury in a warm-up game against Bologna. Speaking of his international career, Coke has one cap for Spain U16, but he has yet to make his debut for the first team.